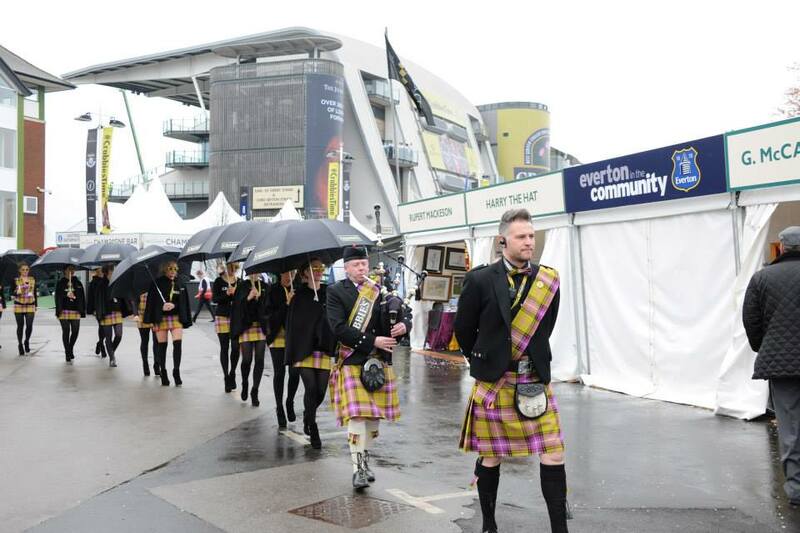 The only bagpiper to have been on Coronation Street, performed the bagpipes by appointment to Rod Stewart three times, appeared on Sky Living’s Battle of the Brides, and Sky One’s comedy Mount Pleasant. 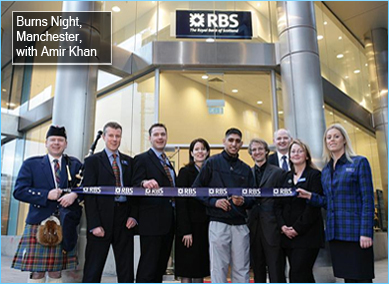 Hired by Manchester United Supporters Trust (MUST), the Royal Bank of Scotland, Visit Scotland Tourist Board, Allianz Insurance, BESA Building Services, and Team GB Paralympics. 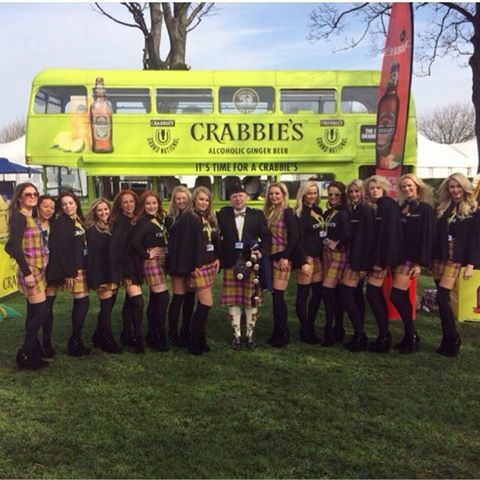 The official bagpiper for Kellogg’s — supplier for the Commonwealth Games 2014 — and official bagpiper for the Crabbies Grand National. 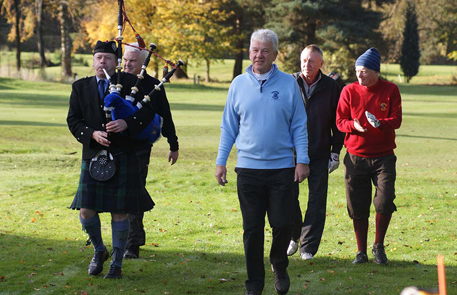 In 2012, the official bagpiper for Glenmorangie Whiskey — sponsor for the 2012 Open Golf Championship. Performed on Smooth Radio, Rock FM, Gaydio in Manchester, Free Radio in Birmingham, BBC Radio and Radio Five Live. 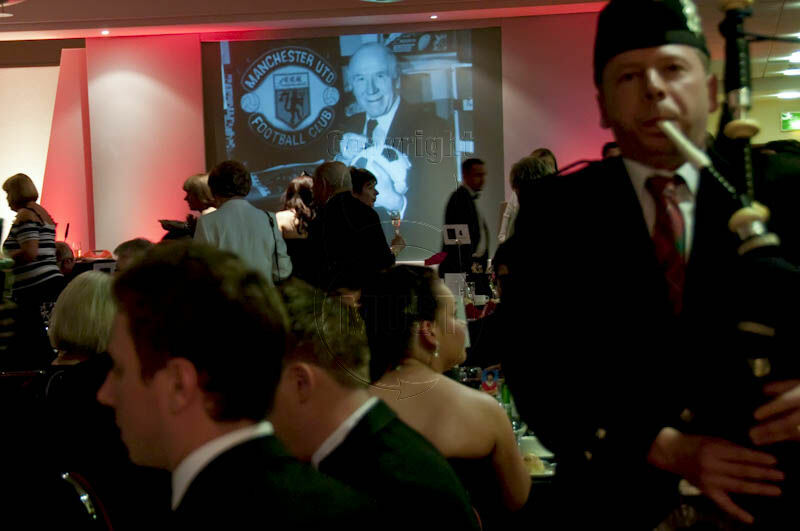 The same Burns Night suppers and New Year’s Eve bookings for 10 years, which means REPEAT BUSINESS! 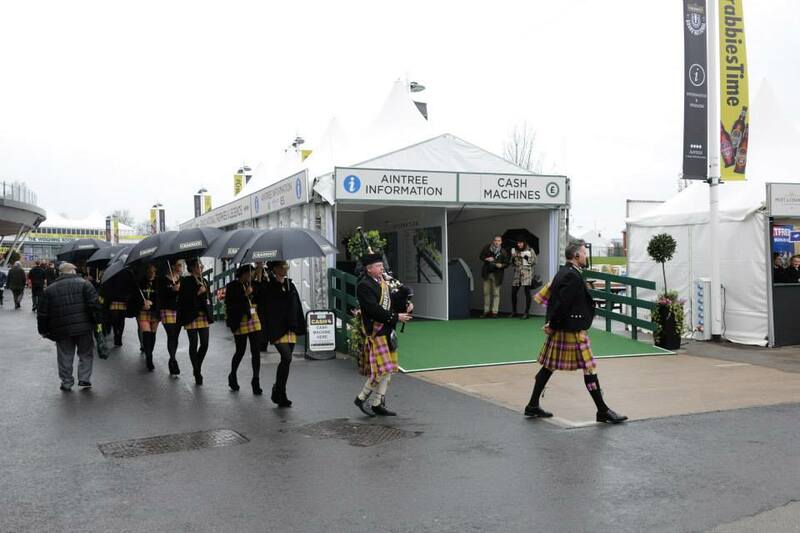 Highly experienced in complimenting companies’ crucial corporate events, product launches, and grand openings. 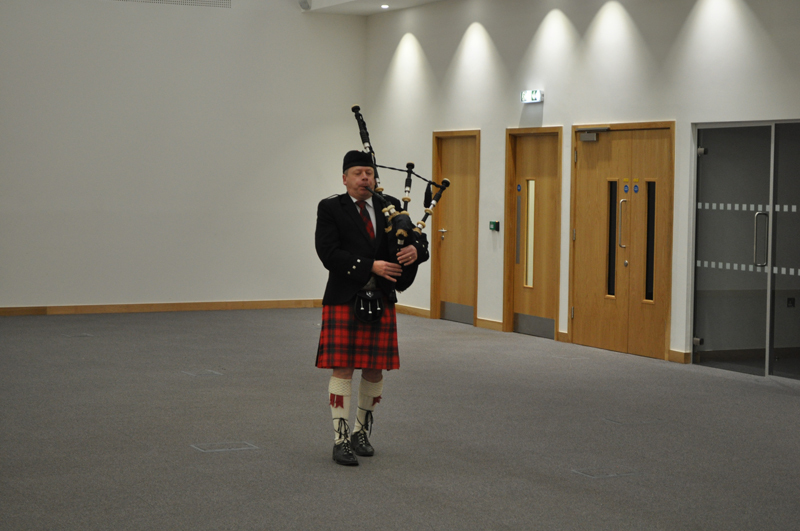 The bagpiper can play for the arrival of guests until it’s time for the top table to be piped to their seats and, if required, another set of tunes can be performed. 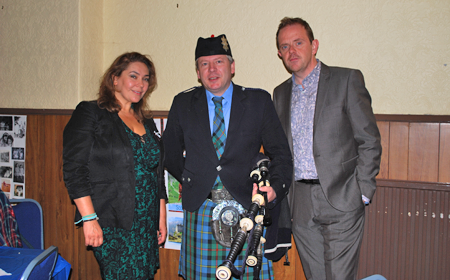 Recently Alan was at Water Plus (a business water retailer) as a surprise guest for their Scotland-focus week. They were highlighting information to their people in Staffordshire about the teams that work with customers across Scotland. There was lots of smiles and the atmosphere at Water Plus was great. You can see photos of this appearance in the gallery (below). 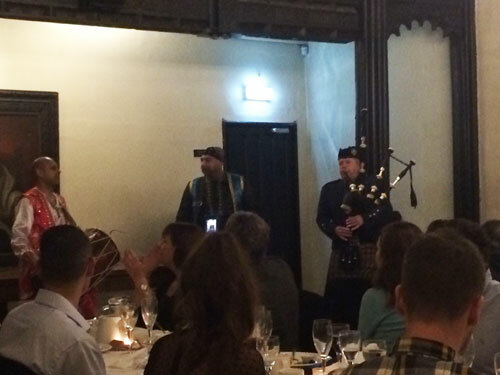 If you want to hire a bagpiper as a special guest at your business, then don’t hesitate to call Alan! 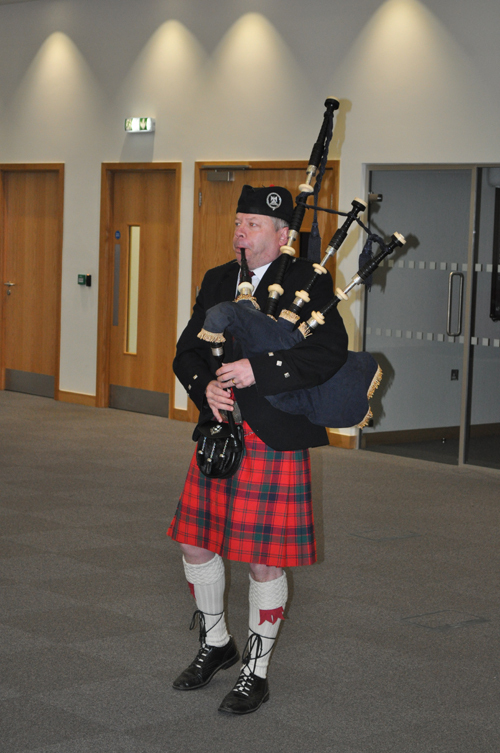 Being a soap fan, in 2008, Alan was delighted to play the role of the bagpiper at Carla & Tony’s wedding on Coronation Street. 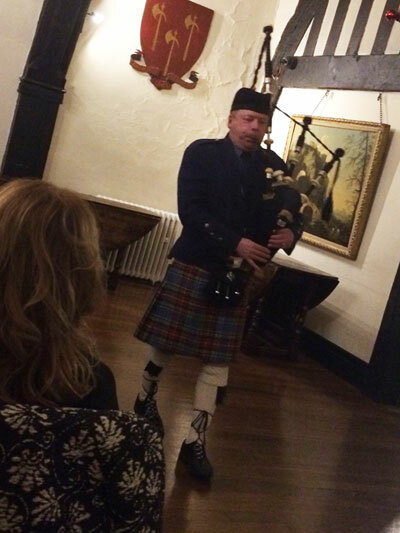 He then went on to appear a further two times on the cobbles, again playing the role of the bagpiper. 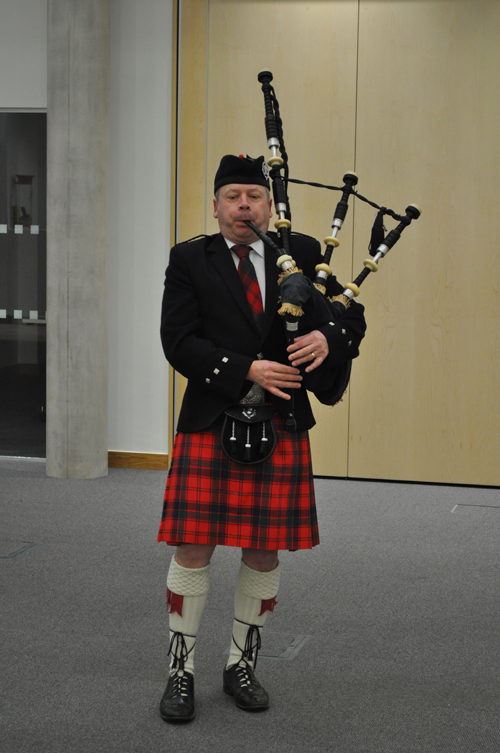 Since then, Alan has gone on to appear in numerous TV shows in the UK playing the bagpipes, including: Hollyoaks, Sky One’s Mount Pleasant, Sky Living’s Battle of the Brides, and featured on Granada Report. 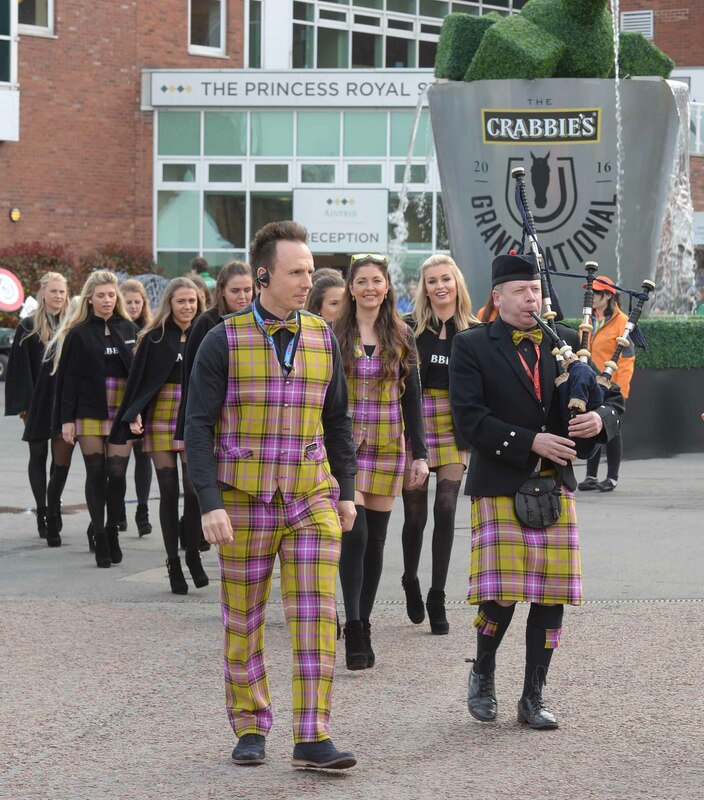 You may also have seen Alan as the bagpiper on the Iron Bru advert.